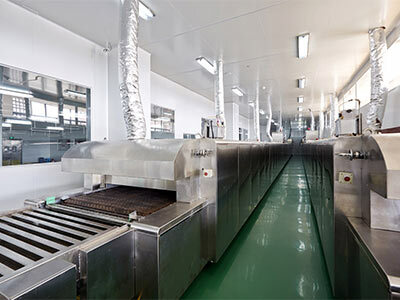 Food and Beverage Processing Floors – high-volume food & beverage processing facilities present a unique range of challenges when it comes to their flooring needs. Typically, these facilities are routinely wet settings, with thermal cycling & shock concerns, high-pressure washing, as well as exposures to a wide variety of caustic byproducts and contaminants such as animal fats, oils, sugars, and food-related acids, which can have deleterious effects on the wrong flooring finishes. Food & beverage processing floors also absorb significant punishment from heavily loaded, steel-wheeled carts, dragged crates, forklifts, tow motors, as well as aggressive cleaning materials & disinfectants. Careful consideration needs to be made in selecting a flooring system that is heavy-duty providing excellent hygiene & sanitation, as well as impact, abrasion, chemical, acid, thermal shock, and slip resistance. Slaughtering & fabricating areas for meats & poultry, as well as seafood processing plants are environments with heavy-duty exposures coupled with punishing conditions including aggressive hygiene & sanitation methods, and contaminants including blood, fat, grease, oil, and by-product waste. These processing areas require tough, seamless and non-porous floor resurfacing systems with added microbial protection against bacterial attack as well as non-skid texture to prevent slip & fall accidents when surfaces are wet. 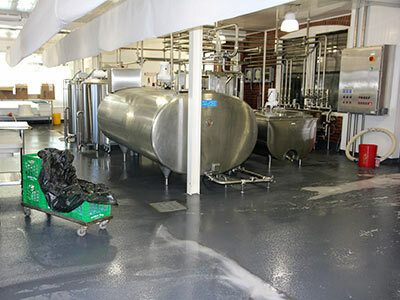 Dairy processing facilities are environments that require hardwearing, long-lasting floor resurfacing systems where there’s rigorous hygiene- cleaning & disinfectant regimes- and where the floors are continuously exposed to changing wet & dry conditions. Dynamic floor conditions combined with the acidic nature of dairy, and with heavy usage of equipment require tough, seamless and non-porous floor resurfacing systems that not only support stringent hygiene & sanitation, but also enhance floor safety for personnel. ProREZ coating systems for these unique areas can offer added microbial protection against bacterial attack as well as various non-skid textures to prevent slip & fall accidents when surfaces are wet. 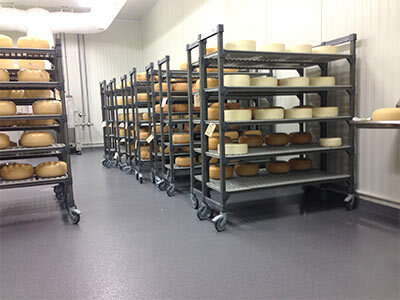 Freezers and cold storage require specialty floor resurfacing systems that can be installed at lower temperatures and in damp conditions, as well as cure in a short turnaround time to reduce the client’s downtime and the associated risk of food spoilage in renovation or refurbishment projects. The systems must also have low odor, avoiding any tainting of stored foodstuffs. These storage areas require hard-wearing, seamless and non-porous floor resurfacing systems with added microbial protection against bacterial attack as well as non-skid texture to prevent slip & fall accidents when surfaces are wet. Washdown areas in food processing and beverage facilities are unique environments subject to harsh exposures from high-pressure washer sprays as well as a multitude of aggressive chemicals used in both the cleaning and sanitation of equipment. 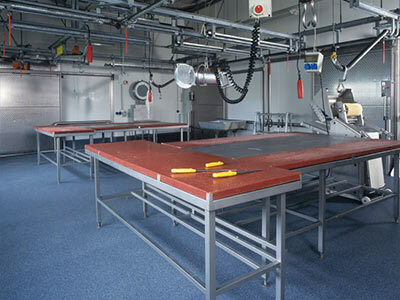 The flooring system in chemical washdown areas requires a heavy-duty finish to endure these punishing conditions. Furthermore, the floor resurfacing treatment must support stringent sanitation protocols and regulations by the FDA and other governing bodies to ensure the safety of produce, meat, dairy and other processed food. Commercial and production bakeries typically operate long hours, with routine exposure to wetness, strict cleaning & disinfectant regimens, hot rack ovens, as well as heavy use of wheeled racks and equipment. Water mixing with fats and oils on the floor areas can create potentially hazardous conditions requiring greater non-slip resistance. These flooring areas also need to provide exceptional chemical and corrosive by-product protection against vegetable oils, dairy products, salts, sodas, and sugars. Bakery flooring requires a hard-wearing, seamless and non-porous floor resurfacing finish with added microbial protection against pathogens, as well as various non-skid texture options to prevent slip & fall accidents when surfaces are wet. 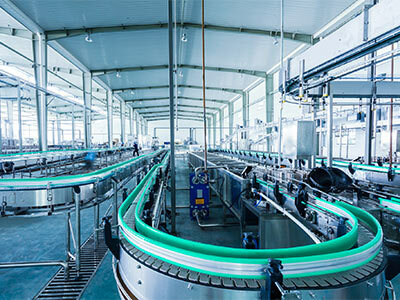 Commercial beverage & bottling facilities must meet very stringent hygiene and sanitation protocols established by the USDA, with near cleanroom conditions. Consequently, these areas receive high-pressure wash-downs with aggressive clean-in-place (CIP) chemicals, detergents and sanitizers. These areas are also often exposed to significant traffic loads as well as heavy equipment and machinery, therefore requiring highly durable and resilient floor resurfacing finishes to absorb the physical punishment while at the same time meet food-grade hygiene standards. 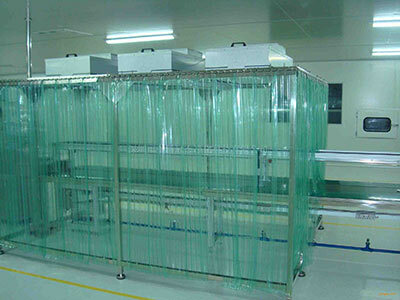 Beverage & bottling environments require hard-wearing, seamless and non-porous floor resurfacing systems with added microbial protection against bacterial attack from corrosive sugar by-products, as well as various non-skid texture options to prevent slip & fall accidents when surfaces are wet. 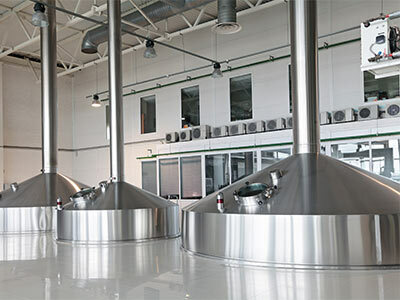 Commercial breweries, wineries and distilleries all require a highly durable and easily cleanable floor resurfacing system to ensure superior hygiene, sanitation, and safety. Typically, these areas receive frequent exposure from heavy foot, cart and forklift traffic, as well as susceptibility to strong acids, caustic chemicals, high temperature liquids, high pressure washing/steaming, and aggressive disinfectants used to clean and sanitize both equipment and work areas. These rigorous and sometimes harsh environments require hard-wearing, seamless and non-porous floor resurfacing systems with added microbial protection against bacteria, mold and other pathogens, as well as various non-skid texture options to prevent slip & fall accidents when surfaces are wet. The public areas, such as tasting rooms, require some of the same high performance and hard-wearing qualities, stain and chemical resistance as the production areas, yet the flooring finishes must also present an inviting level of design and décor.